Since 1890, the Noonan family has been proudly delivering home heating oil and comfort products to the Pioneer Valley area. 125 years young and still growing, today Noonan Energy Corporation is your one-stop-shop for all your home heating oil and comfort needs. An unrivaled reputation for excellence from our first generation to the fifth, we remain a genuine, family-owned company — and our reputation for delivering full-service quality, comfort, and care endures. In fact, our commitment to providing 100 percent customer satisfaction is as strong today as it was 125 years ago. 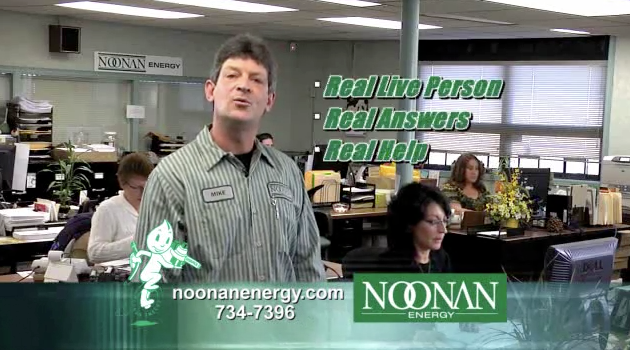 Why have so many of your Pioneer Valley neighbors made Noonan Energy one of the most respected names in heating oil? For top quality heating oil service, fuel delivery, heating oil or cooling equipment sales or expert installation, our ability to deliver your complete home comfort can’t be beat. Proudly serving the greater Springfield, Palmer, Amherst, Chicopee and Westfield areas.